ELIZABETH CITY, NC – The end of the year is near and we're going out with a bang at Perry Auto Group with our High Performance Showdown! What's a High Performance Showdown, you ask? Well we don't just have one performance car in our inventory, we have FIVE! So, we're giving you the opportunity to make your holiday wishes come true with our Performance Cars For Sale in Elizabeth City, NC! From the Chevrolet Volt, to the Chevy SS, and the king of the road, the Corvette, we've got them all on our lot at Perry Auto Group. And these aren't just any Chevrolet vehicles – they're the most technologically advanced and high performance cars on the market! Call us biased, but who wouldn't love to celebrate the holiday season in a brand new ride? 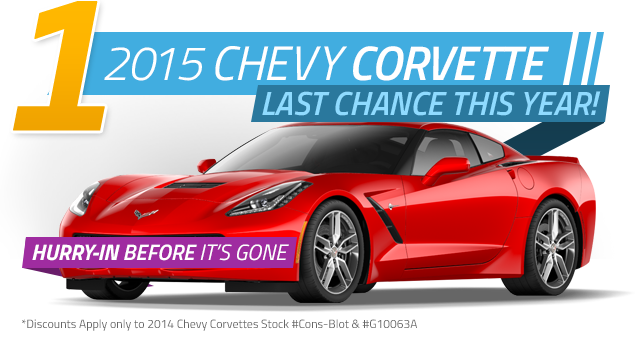 So if you want to start off the new year by saving BIG on fuel or discovering what 460 Horsepower feels like, then you need to take advantage of these offers on our two 2015 Chevy Volts and the unbeatable savings on our 2014 and 2015 Corvettes! Or, experience 0-60 mph in just 4.7 seconds with our only 2014 Chevy SS in stock! These Performance Cars For Sale in Elizabeth City, NC might be gone before Santa gets around to picking them up for you, so stop by today if a performance car is your Christmas wish this year! Whatever your dream car may be, we're here to help you find it and make it a reality! Perry Auto Group has two dealership locations to serve you better at 1005 W. Ehringhaus St, Elizabeth City, NC, 27909 or 1001 Halstead Blvd Elizabeth City, NC 27909. Stop in for any of your auto or community needs, or feel free to give us a call at (252) 338-9100.